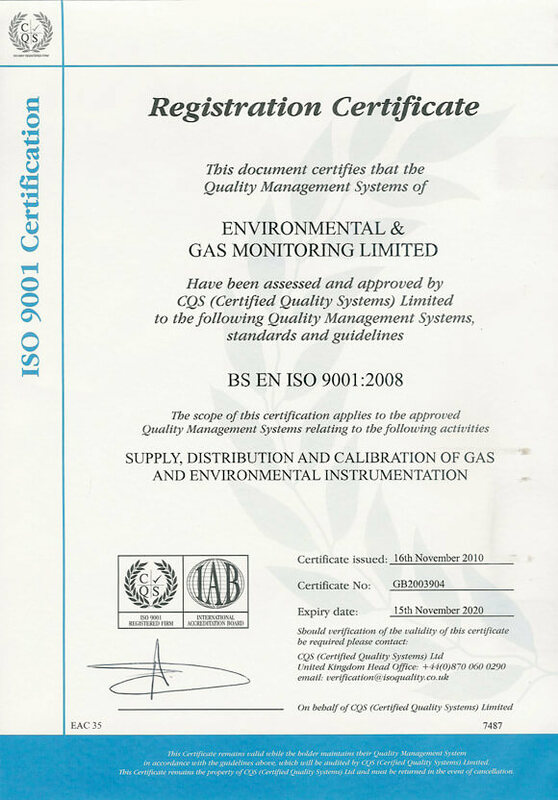 Environmental & Gas Monitoring Ltd. is a privately owned company with over 80 years of experience in the gas detection and environmental monitoring market. Within our extensive product range we can supply single and multi-gas gas detectors, sound level meters, dose meters, noise monitoring equipment, hand arm vibration monitors, air sampling and many other H&S and environmental products. We pride ourselves on our in depth knowledge of the health & safety and environmental monitoring market, with our expert staff always able to offer our customers the best solution for their application. EGM Ltd. offer a no nonsense approach when dealing with our clients, this has resulted in long standing working relationships with many large multinational and Blue chip companies through out the UK. Typical customers include Oil & Gas, Pharmaceuticals, Utilities, Water Companies, Local Authorities and Manufacturing. As well as offering the latest developments in technology our full product range is backed up by our teams of in house and field based engineers, so that our customers can have piece of mind long after warranties have expired. EGM Ltd. has various independent approvals and accreditations. We have ISO 9000:2015, CHAS, Construction Online along with being certified as an approved Honeywell Master Service Centre. This ensures that we meet the highest standards of quality and customer service. Manufacturers of the market leading and fastest growing range of portable gas detectors. The GasAlert family of gas monitors provide a solution to solve most requirements whether it is for a low cost disposable single gas unit to the top of the range 5-gas monitors. Founded in 1970, Cirrus Research PLC specialise in the development and production of noise measurement instrumentation. Cirrus provide comprehensive solutions for monitoring occupational and environmental noise, helping to identify and control problem areas. Monicon Technology specialise in designing, developing and manufacturing fixed gas detection equipment. Monicon systems are cost effective and high quality certified products. Their instrumentation is recognised worldwide by leading chemical, pharmaceutical and semiconductor companies. Castle design and manufacture Electronic Instruments. Custom design work is undertaken on a contract basis. The early 1990's saw dramatic advancements in the technology used in Castle instruments, with many new products including specialist vibration measuring equipment. EGM supply, service and calibrate our full range of products from our modern ISO 9001:2008 approved facility in Ayrshire. The Trojan2 Noise Nuisance Recorder is the latest in innovative products from Cirrus Research. The unit was designed in conjunction with Local Councils, Environmental Health Officers and Housing Associations to allow you to easily measure, monitor and record noise nuisance. When it comes to measuring nuisance noise there is no easier or more cost effective solution. Please contact us on 01563 820444 or email [email protected] to speak to one of our experts or click below for more information.